The Laser360 skin resurfacing and rejuvenation treatment reveals brighter, younger and healthier-looking skin, from the inside out. It treats fine lines, wrinkles and discolorations from deep within the skin to give you a lasting new, revitalized look.Using 3 cutting-edge technologies, Laser360 is a non-invasive, comfortable procedure that provides lasting results in just 60 days through a series of office visits. These skin tightening treatments are safe, comfortable and effective without surgery or down time. It can be used on any skin type, and you are free to return to normal activities within a few days after each session. Is Laser 360 Resurfacing Right For Me? 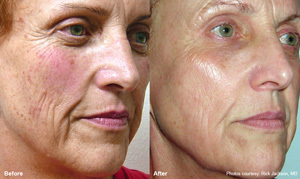 Laser360 complete skin rejuvenation will improve your skin's color, texture and tone. Your doctor will combine the three different technologies into a treatment plan that is customized exclusively for you. Laser360™ is a skin treatment for anyone who would like to revitalize their look without invasive procedures or injections. 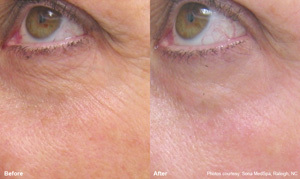 You no longer have to accept fine lines and wrinkles or skin discoloration as an inevitable part of the aging process. 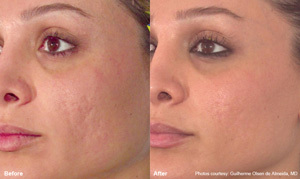 Laser360 costs vary, depending on your treatment area,skin condition and number of treatments prescribed.